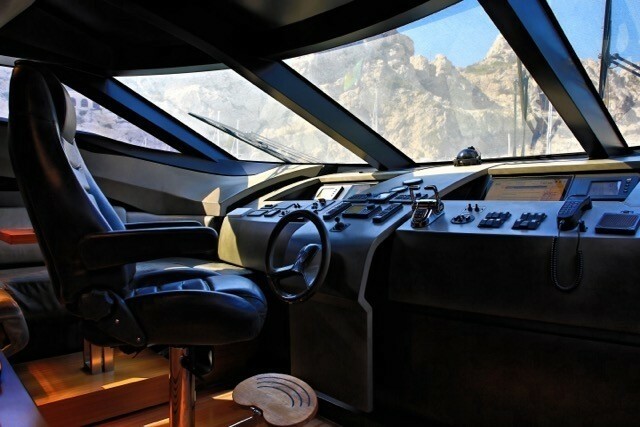 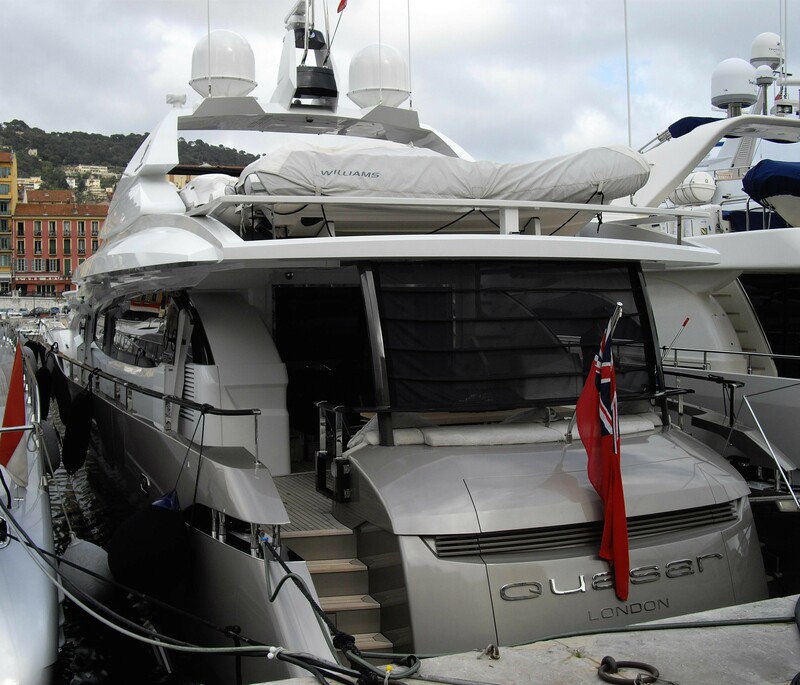 Motor yacht QUASAR (Ex Mitsi) was launched in 2009 by Peri yachts and features naval architecture by Bill Dixon and interior work by Scaro Design. 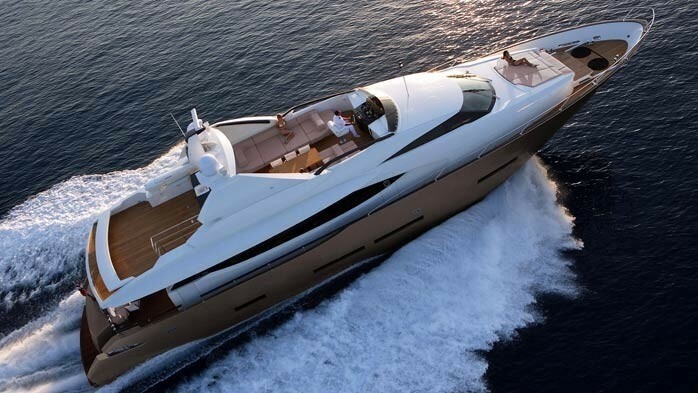 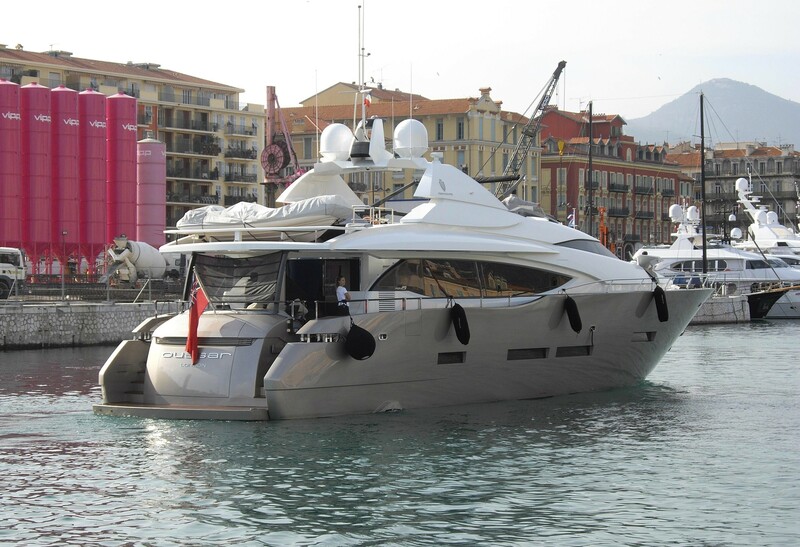 She measures 28,6m (93,10ft) and can accommodate up to 10 charter guests, in 4 cabins. 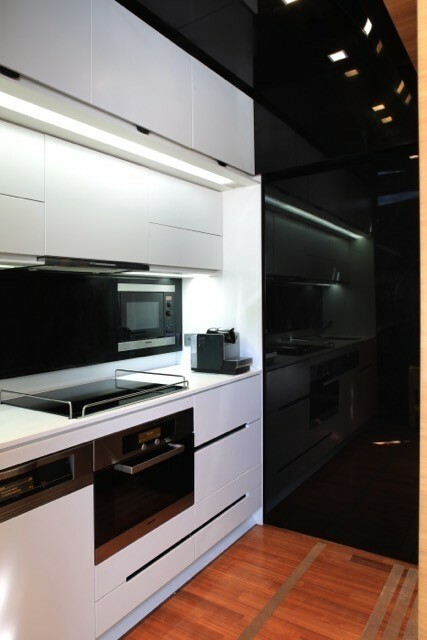 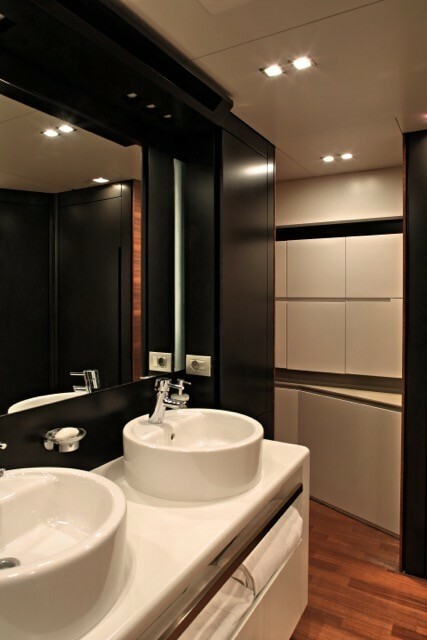 Her interior décor is contemporary and light. 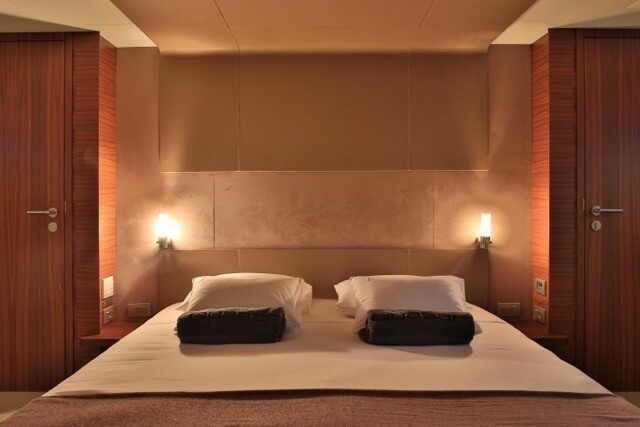 Neutral soft furnishings, light headliner and floors are complimented by elegant wood panels, creating a beautiful yet minimalistic contrast. 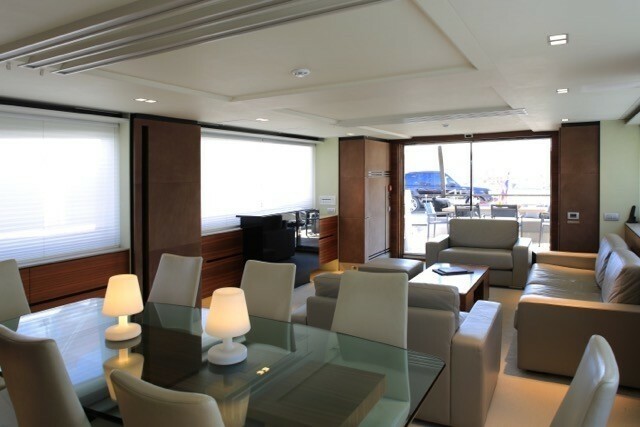 The main salon offers an open plan lounge and dining, with generous seating and entertainment areas aft and formal dining forward. 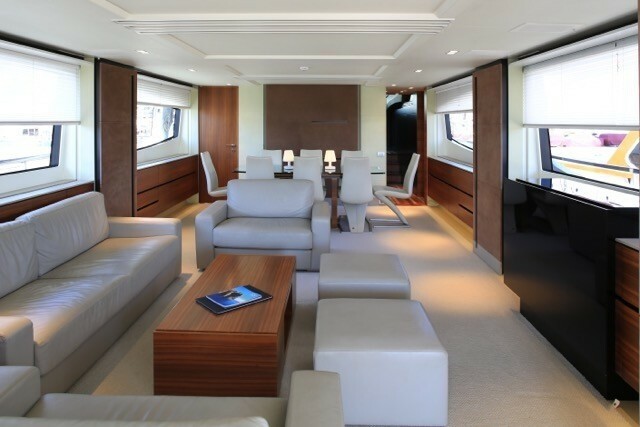 Elongated side windows allow plenty of natural light and scenic views. 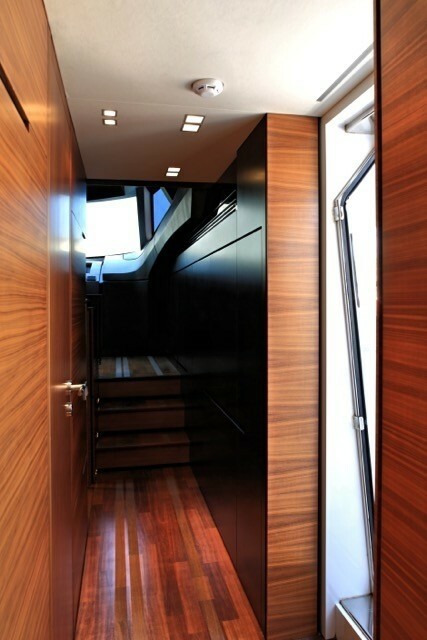 On the starboard side a foyer heads to a day head, followed by the bridge deck. 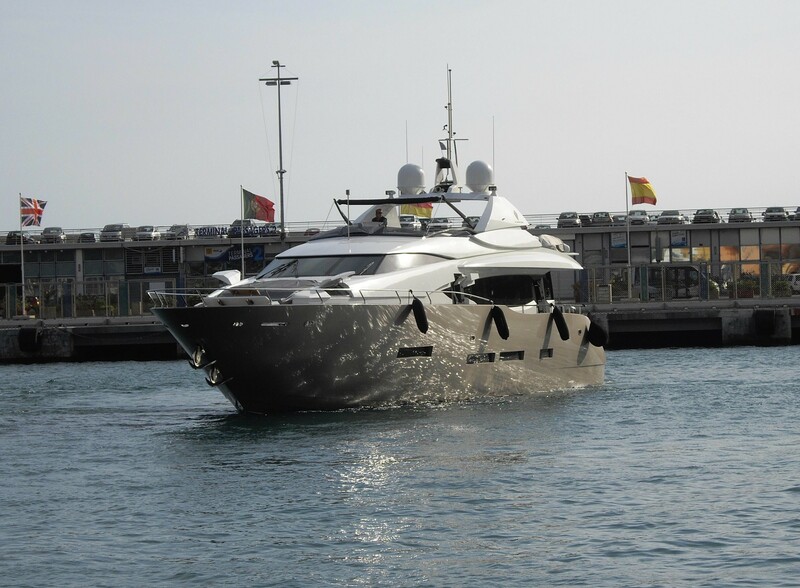 On the lower deck are 4 guest cabins, 1 master stateroom, a VIP cabin and 2 twin cabins. 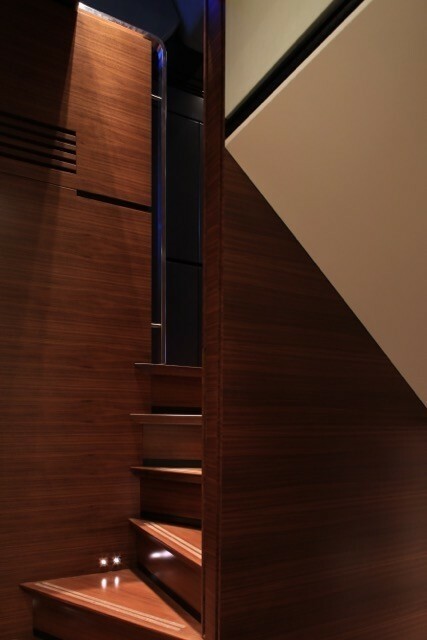 Her exterior living is well-appointed and laid out over 2 levels. 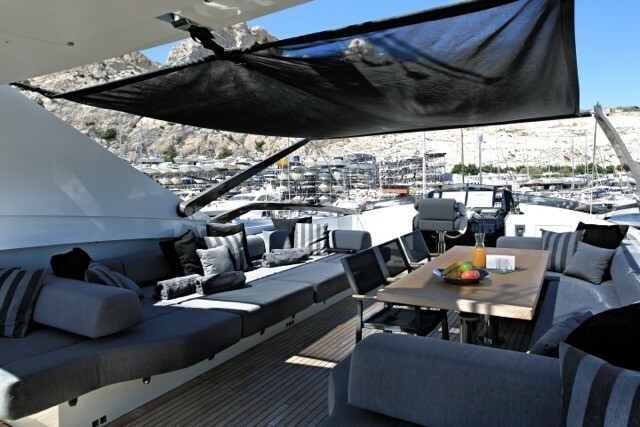 On the main deck aft, is a shaded area with direct access to the salon thought sliding glass doors, offering an alfresco dining option. 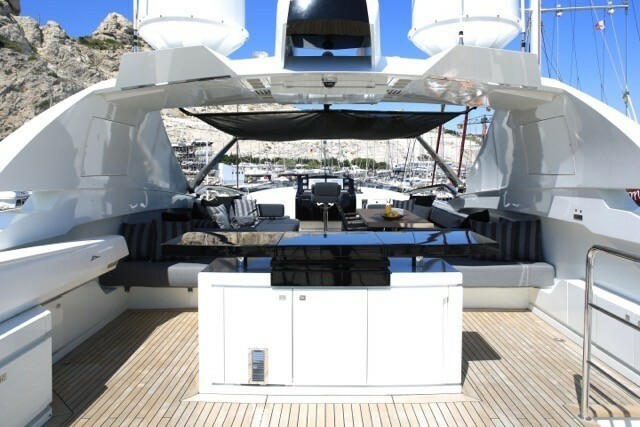 The aft deck provides access to the lower swim platform, upper sundeck and foredeck. 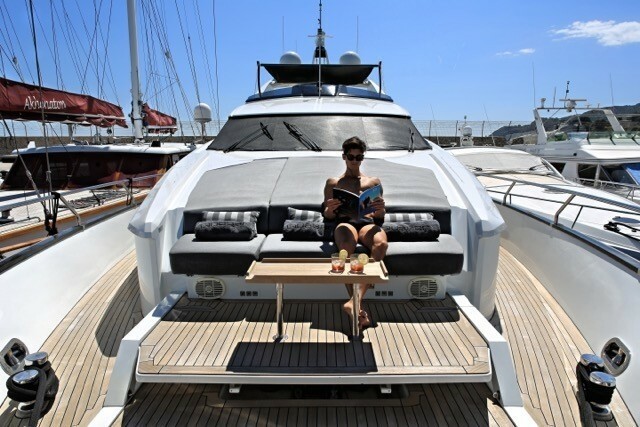 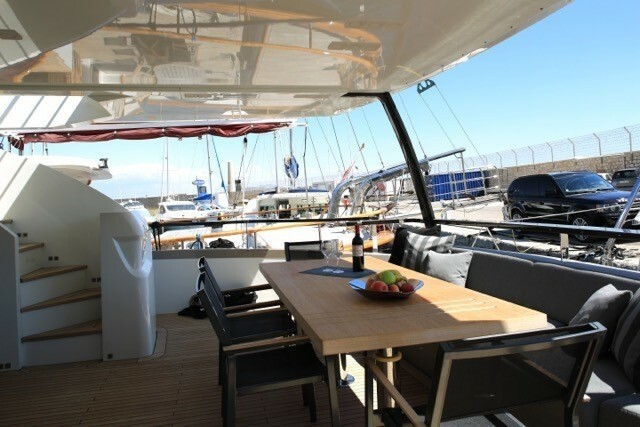 On the foredeck is a seating area with cocktail table and sunpads. 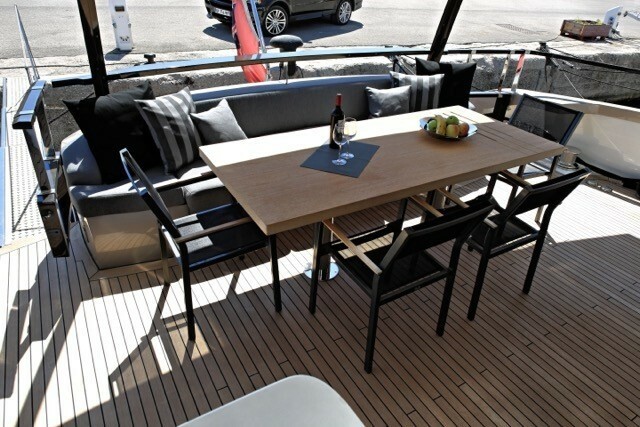 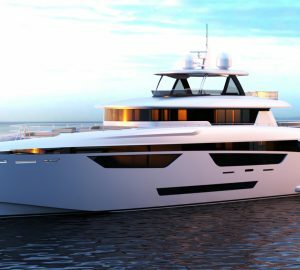 The upper sundeck has a further alfresco dining table, ample seating, sunpads and an optional Bimini cover. 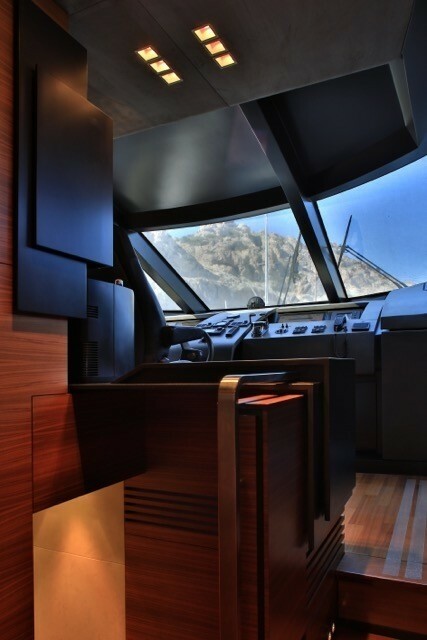 The transom of the yacht features a full beam swim platform, ideal for water toy fun. 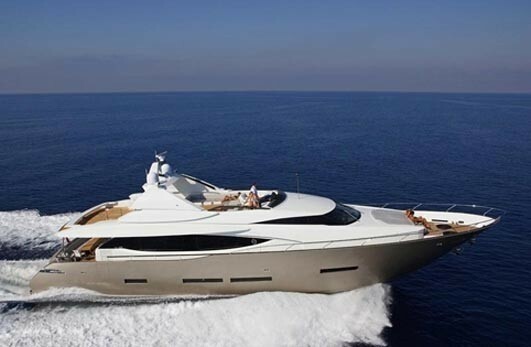 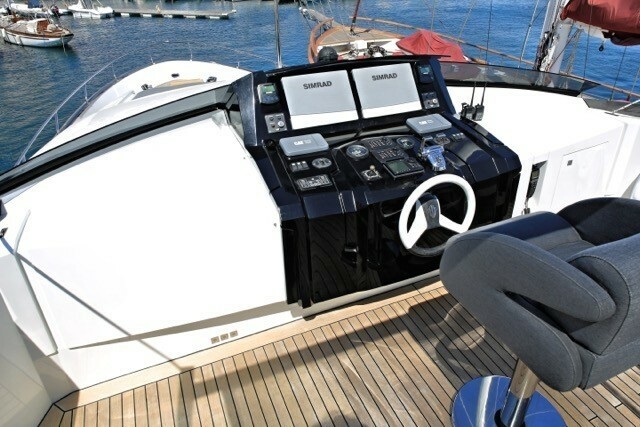 Powered by 2 x CAT C32 Acert engines, she has cruising speeds of 23 knots and top speeds of 29 knots. 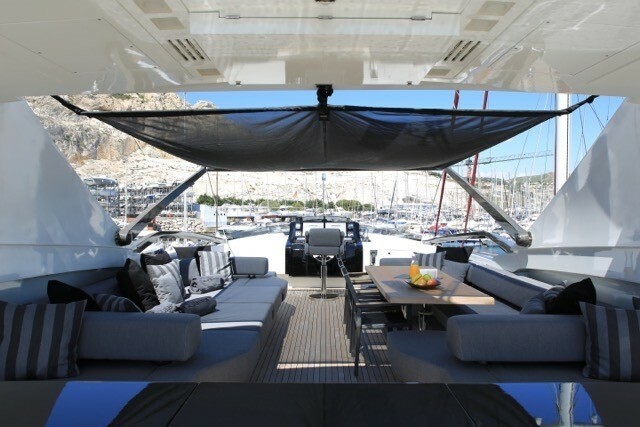 Accommodation is on the lower deck in 4 guest cabins, each with private en-suite facilities. 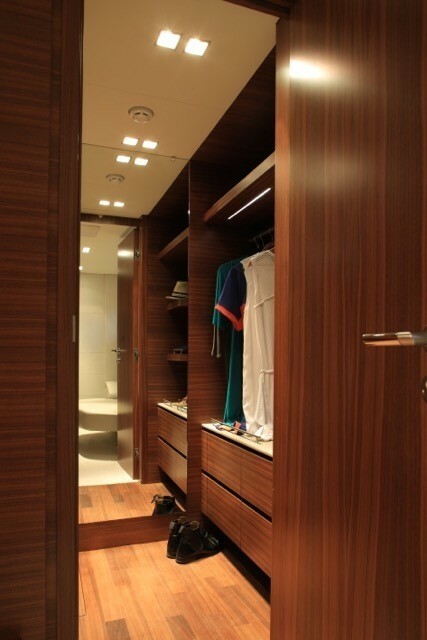 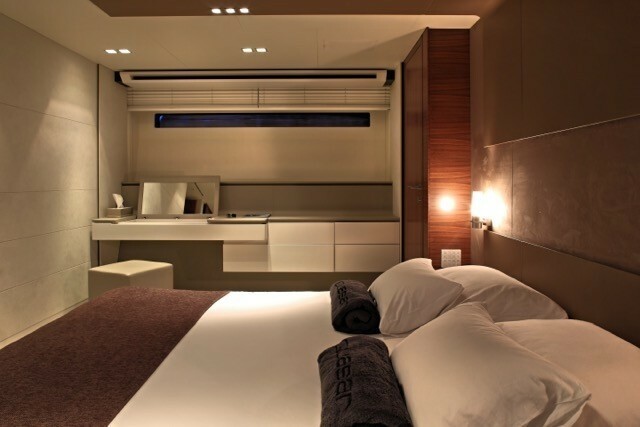 The master stateroom is amidships and full beam of the yacht, with a queen size bed, seating space and walk in wardrobe. 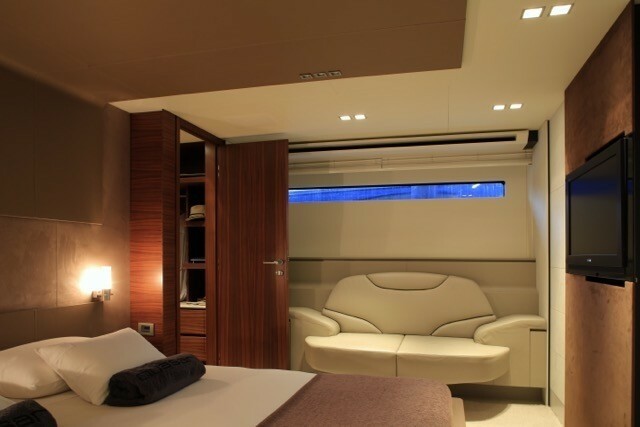 The VIP cabin is forward of the yacht, with a full beam layout and queen size bed. 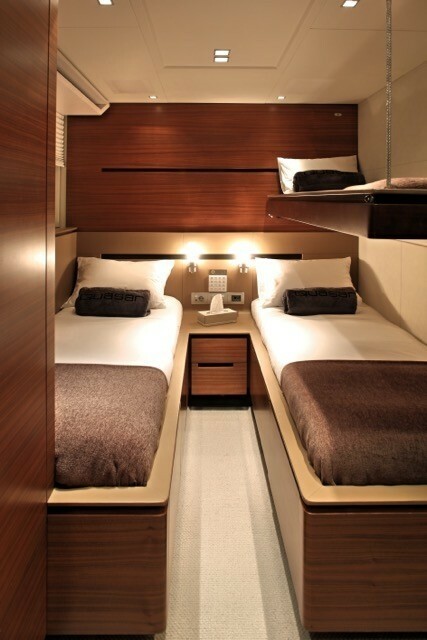 2 twin cabins each offer side by side single beds and an upper Pullman berth, ideally suited to children.